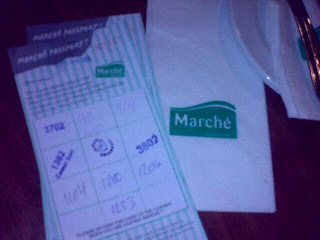 Hubby and I decided to give Marche restaurant another try bec it's been a while since our last visit. 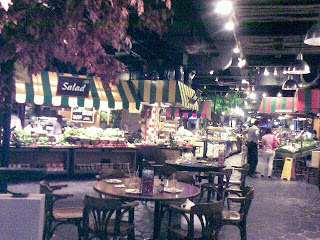 When I was frequenting Singapore in the old days, Marche was one of my favorite restaurant visits bec of its wide variety. For dinner we decided to stay healthy and took some broccoli soup and Caesar salad. It was pretty good. 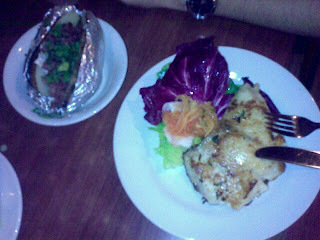 Next we had red snapper grilled with baked potato. We also took the Swiss Rosti which was shredded potato cooked with cheese and came with mushroom side dish. For drinks we took one sparkling water and also the apple iced tea. 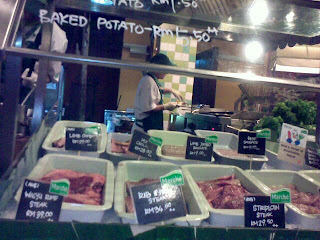 Overall we paid rm 89 which wasn't too expensive yet not a cheap meal. Though we walked away satisfied. It's always a pleasant experience especially if u have guests bec they can use the 'passports' to go get their own food choice. Nothing ultra superb but the food is pretty decent.